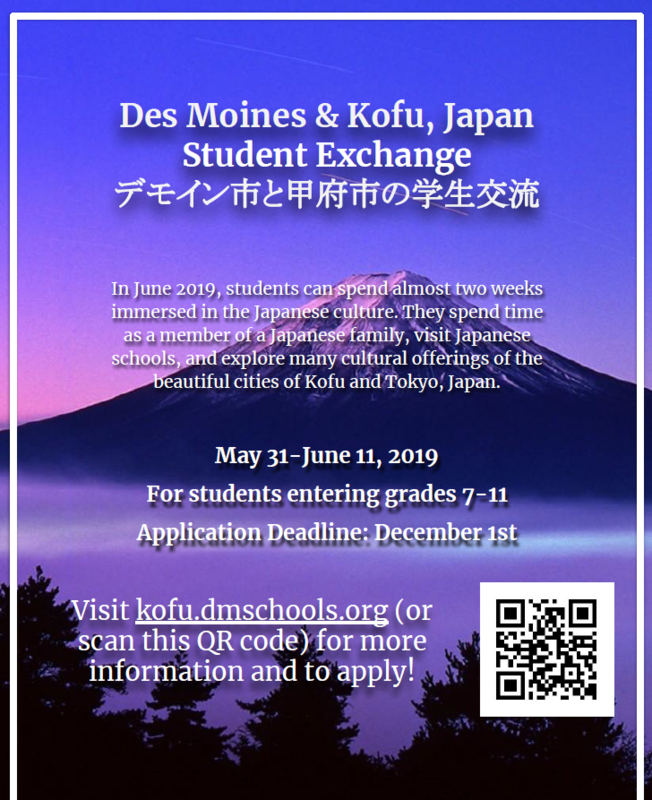 There is a Des Moines & Kofu, Japan Student Exchange opportunity for students entering grades 7-11. In June 2019, students can spend almost two weeks immersed in the Japanese culture. They spend time as a member of a Japanese family, visit Japanese schools, and explore many cultural offerings of the beautiful cities of Kofu and Tokyo, Japan. Applications are due by December 1st. 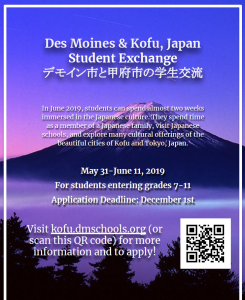 For more information, visit kofu.dmschools.org or scan the QR code on the poster!